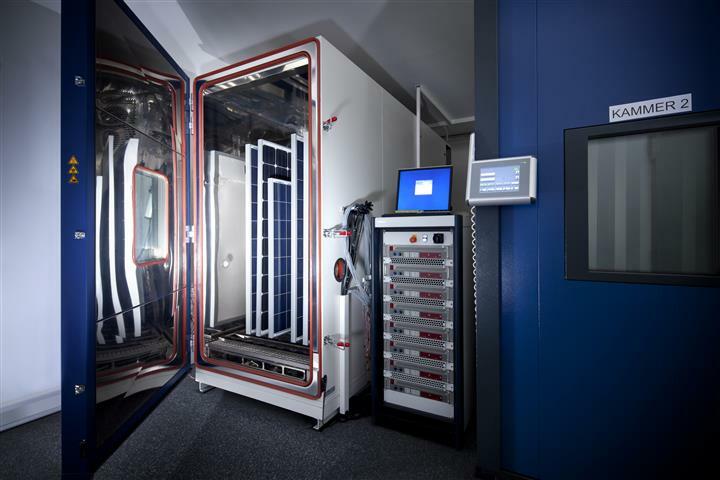 The Ironman for photovoltaic modules takes place every day in our own quality control laboratory. 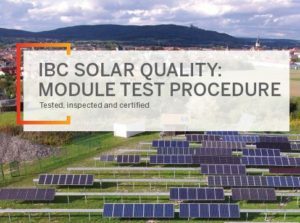 After all: We only offer the very best IBC SOLAR modules! In order to achieve this accolade, the modules must pass a series of endurance tests. 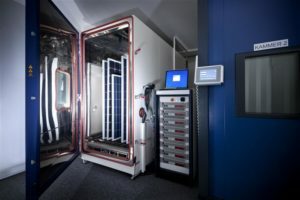 In the third article of the series, we go into more detail about the temperature cycle test from our climate chambers. 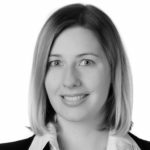 Very hard winters and dry summers – even where we are located in central Europe, the weather changes significantly from one minute to the next. Temperature fluctuations of between -20 and +30 degrees over the course of the year are not just a burden for people and nature. Photovoltaic systems on roofs or open spaces must also withstand these highs and lows for at least two decades without sustaining any damage. The temperature resistance of a new module in our portfolio is difficult to examine in real time. That’s why two climate chambers are made available in our quality control laboratory in which temperature fluctuations can be easily simulated. The temperature will be reduced to -40 degrees and then increased again to +80 degrees in the climate chambers over the course of six hours. This cycle is repeated 200 times to ensure the modules are exposed to temperature fluctuations for a total of 1,200 hours and 50 days and corresponds to a natural ageing process of approximately 20 years! After the test, the module in turn undergoes a visual and performance test and the insulation resistance is measured. According to the guarantee promise for IBC SOLAR product line modules, they must achieve more than 80% of their original performance after a usage period of 20 years (linear performance guarantee for Europe and Japan). Material fatigue and thermal damage are also ruled out with the test before launching the product.